Good Old-Fashioned Service, a Commitment to Quality, Affordable Prices, and a 100% Guarantee! 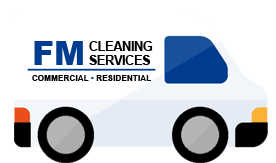 FM Cleaning Services, Inc. is an independently owned and operated company. FM serves most counties and communities in Southwestern Pennsylvania and the Greater Pittsburgh area. The company was founded in 1983 by Fritz Winterhalter with the aim of becoming the areas foremost one-stop floor care facility for both the residential and commercial environment. It is our commitment to provide you with the best service and value so that you will always be our customer. Our technicians are well trained and experienced. They can advise you on the proper cleaning techniques and methods even for the most delicate fabrics. We pledge to give you the best service and value anywhere in this industry and we guarantee our work 100%. In June of 2017, Fritz Winterhalter decided to retire and hand over the business to Lee Zimmerman, a long time business associate and friend. 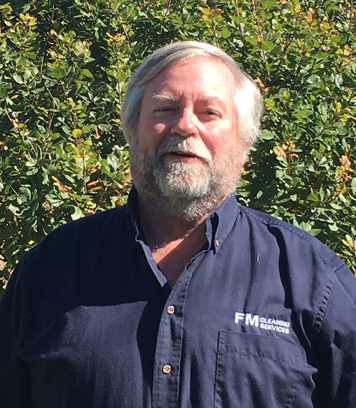 Lee brings 38 years of experience to FM Cleaning. He served as President of several different Regional and International Associations. Most recently, Lee was President of The Institute of Inspection, Cleaning and Restoration Certification (IICRC). The IICRC is a Certification and Standards Developing Organization for the inspection, cleaning and restoration industries. While overseeing the IICRC, he implemented industry standards that are recognized by the government. 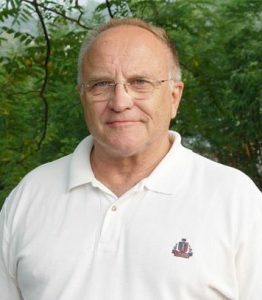 Lee previously owned Keystone Carpet and Furniture Cleaning based out of Greensburg: 1979 – 2009 and follows the same quality rules and values that Fritz used. I was please with the outcome and the professional service. I will definitely be a return customer. Thank you so much! The technician was wonderful, patient and efficient. Will request him again. The technician is very meticulous, conscientious, and really passionate about doing a great job. He is an asset to your company. Excellent service & great employees! Did a great job and I recommended You to KL. Thank you. Very courteous employees. Did very good job. My dirty rugs are no longer grayish. They look great! and bright! Always a fantastic job. I can count on you guys to do the job right. Technician very polite and personable. Good communication skills. Great Job. I truly trust the service man sent. He points out important situations and makes excellent solutions! Your service and performance excellent above industry standard. Prompt would recommend FM Cleaning Services. The technician did a great job. He was very capable and courteous. We were very pleased with his work. The technician did a superb job, took his time and was very sweet.